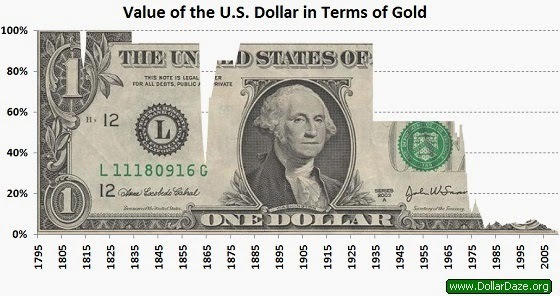 In one of its most shocking reports since the beginning of the Ukrainian Crisis, Russian Ministry of Foreign Affairs (MoFA) is warning today that President Putin has ordered the immediate implementation of “Project Double Eagle,” which when fully realized will cause all global energy supplies to be purchased in gold thus, in effect, ending the US Dollar reign as the global reverse currency and collapsing both the United States and European Union economies. 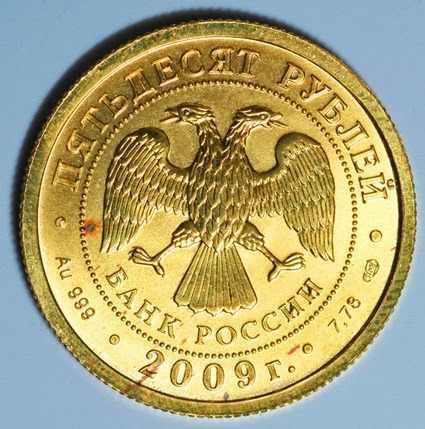 “Project Double Eagle,” this report says, calls for The Central Bank of the Russian Federation (CBR) to begin production of 5 Ruble Gold Coins containing .1244 Troy Ounces of .900 Pure Gold, with a diameter of 18mm, emblazoned with a shielded and crowned double eagle, and which will become the worlds alternative to both the US Dollar and Euro in purchasing energy supplies. Critical to note, this report continues, “Project Double Eagle” includes the creation of a new “national payment settlement system” which will allow Russia to build a foundation that could very soon offer an alternative to the Society for Worldwide Interbank Financial Telecommunications (SWIFT) banking system and allow nations around the world the chance to move away from the American Dollar and US hegemony. Also to join Russia’s new gold-denominated global banking alternative to SWIFT, this report says, will be other BRICS nations (Brazil, India, China, and South Africa) that have unanimously and, in many ways, forcefully backed Russia’s position on Crimea against both the US and EU. With the US now having to pay it oligarchs 26% of its available tax revenues as interest payments, this report continues, and with the European Union now being warned it would cost them $215 billion to stop Russian gas imports, the CBR has been able to raise Russian gold holdings to over 1,040 tonnes showing its strength against Western central banks living on printed money alone. To sustain “Project Gold Eagle” against the inevitable US-EU backlash, this report notes, the Ministry of Natural Resources (MNR) is reporting that the Natalka Project has already begun production and is able to supply the CBR with an “endless supply” of gold to further the success of this new global currency for energy supply purchases. 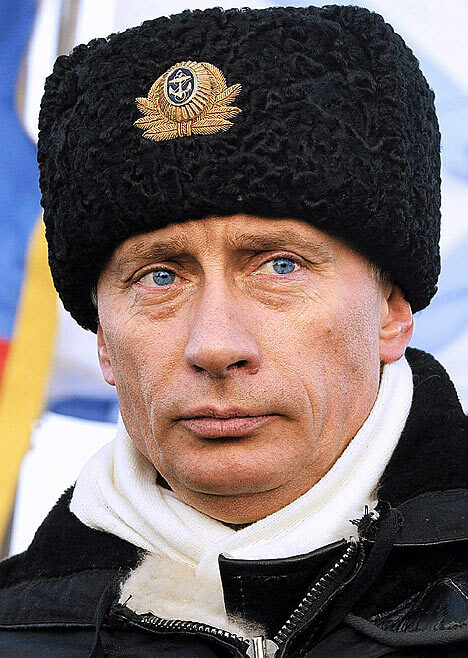 Note: Russia has the second largest gold reserves in the world at 12,500 tonnes (over 400 million ounces) and the Natalka Project, located in the Magadan region, is considered one of the largest gold deposits in the world and has 32 million ounces of proven and probable reserves and a total resource of 60Moz+ and began production this month. Most ominous in this report to mention, however, is its warning that the annexation of Crimea has become a “catch-all justification” for the US to escalate its military presence virtually anywhere even remotely close to Russia, and that NATO forces are planning massive buildups in the Caucus region nations of Armenia and Azerbaijan aimed at splitting Russia too. And to the absolute absurdity of US-NATO war propaganda against Russia in order to justify their troop buildups, this report concludes, none need look any further than NBC News, which earlier this week posted an article by their reporter, Jim Maceda, titled Tour of Ukraine-Russian Border Finds No Signs Of Military Buildup, but then turned around and today published one titled No Sign of Russian Troop Withdrawal From Ukraine Border. As to how Russia can “withdrawal” troops that aren’t even there NBC News won’t say, but neither does it expect any of its readers/viewers to notice their war-hype hypocrisy either it appears.